My month of May was originally planed to be spent in the park; but a trip to Colorado interrupted that original plan. The 11th was mostly a bust; other than lost of birds. The 12th was spent entirely devoted to a beautiful sow Grizzly with two adorable cubs of the year. 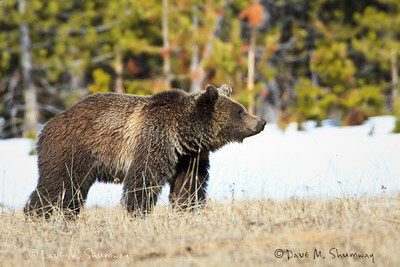 The 13th was spent with last years "Porcupine Grizzly" and waiting for a Long Tailed Weasel and the same sow with cubs of the year from the day before. Then I was off to Colorado for a few days. I hope to get back to the park for a week or so, as soon as I can get out of town. Video will be added to the gallery as soon as I find time to edit it.